Last year I worked on the U.S. Institute of Peace’s certificate course in Interfaith Conflict Resolution. My friend and colleague Wayan Vota launched a site called OLPC News in 2006. Now the site has a three-person editorial team, over a dozen other authors, and 5,000 readers per day. 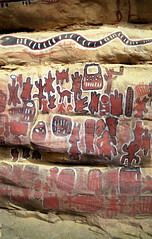 The first is of cliff paintings in Songo, Mali. 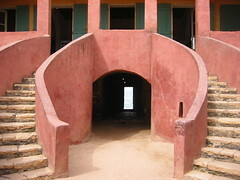 Songo hosts an excision ceremony every three years for all boys of age. For better or worse, it is also attended now by many tourists and international journalists. 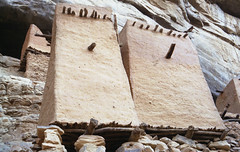 The second photo is of a pair of typical Dogon granaries, which store millet, onions, tomatoes, and other supplies. This one is on the cliffs outside Teli, Mali.